, who hailed from Pandora; as well as its senior account manager Marta Bonzanini, have had to hang up the earphones as the business physically pulls out of the market. The service will be continuing in Australia, but with no local presence and ads can still be bought programmatically via its US office. Berlin-founded SoundCloud also had offices in the UK, Ireland and France, but as the firm carries out a general downsize across the organisation only the Berlin and New York offices will remain. A total of 173 staff globally have lost jobs in the new cost-cutting measures. The move follows on from audio streaming business Pandora also unexpectedly withdrawing from the market earlier this month. See: Pandora's swansong; Aussie end date revealed. Spotify wouldn't be drawn on the industry audio moves and how it's performing, but data and analytics company comScore says five million Australians visited Spotify’s mobile and desktop platforms in March 2017. 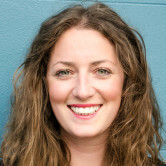 In September last year vice president of international for SoundCloud, Sonia Flynn, told AdNews the business already has a “significant” amount of people in this market using its service, with the brand seeing a strong demand for what SoundCloud has to offer. She said it was also looking at lots of interesting ways of working with brands. The platform it said to have more than a 175 million users with an average listener in that sweet spot of millennials, aged 18-34. The price point of SoundCloud Go sits in line with most of its rivals, with the service costing AU$11.99, but at the time, Flynn wouldn't be led on the exact numbers of users the service had. 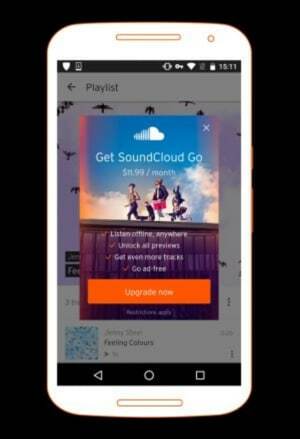 Ads-wise the free version of SoundCloud featured mobile interstitials, promoted tracks, creator partnerships as well as native content. “By reducing our costs and continuing our revenue growth, we’re on our path to profitability and in control of SoundCloud’s independent future,” Ljung said. He stressed the SoundCloud platform will remain available in more than 190 countries globally and in another post last week reiterated “SoundCloud is here to stay”. “There’s an insane amount of noise about SoundCloud in the world right now. And it’s just that, noise,” he said. SoundCloud is set to close its Australian office as of Friday 28 July, less than a year after it announced its strong intentions to take aim at the market and work with more brands. AdNews understands that staff, including its Sydney-based commercial director Shaun Alexander, who hailed from Pandora; as well as its senior account manager Marta Bonzanini, have had to hang up the earphones as the business physically pulls out of the market.